Whether you're interested in a short weekend backpacking trip fit for the whole family or you want an awesome system of mountain biking/ trail running trails, Little Pine Mountain is a great option! The Upper Oso to Little Pine loop is 15 miles. One night to a few nights. There are multiple camping and backpacking options located in Little Pine Mountain, and they're all worth exploring. Starting at the Upper Oso Campground, take the OHV Road to the Santa Cruz Trail. As you follow the creek bed, you will hit the first camping spot called 19 Oaks ( at two miles) where you can primitive camp for the night. This is a backpack trip that older children can take on. For a longer backpack trip, continue on the Santa Cruz Trail all the way to the summit of Little Pine at 4,065 feet, climbing a total of 5.25 miles along the way. Turn right at the junction and make the steep climb to the summit. From there, head down the canyon past Little Pine all the way to Santa Cruz Camp. There is a locked service cabin at the camp. Camping is allowed behind the cabin where you will find a fire ring and picnic tables. The camp is about five miles from the Little Pine summit. For Mountain Bikers and Trail Runners: Little Pine Mountain is a really awesome destination! 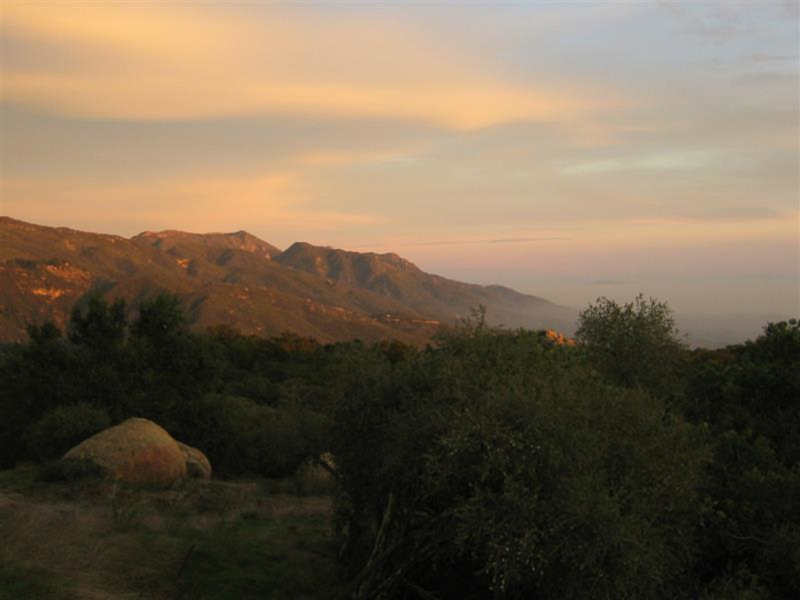 It has some really speedy, technical, and scenic trail and can be done as a loop, starting at Lower Oso Campground in Santa Ynez Valley along Paradise Road. Once you get to the top of Little Pine, you have a 7-mile single track downhill back to where you started. This is usually a 2.5 to 3-hour ride. Hook up with the Camuesa Connector from the OHV road for a more interesting route down to Paradise Road. After the adventure, be sure to cool off at the Red Rocks swimming holes! You will need an Adventure Pass ($5) to park.